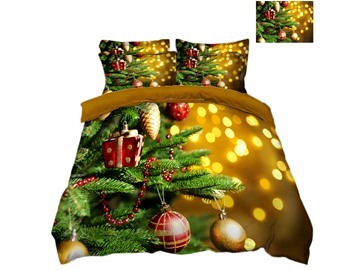 The unique Christmas Tree Printing bedding set is very Pretty and charming.The happiness of Christmas Festival and elegant feeling are completely expressed. 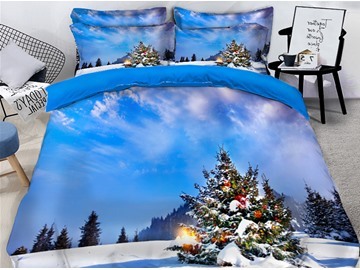 Red snowflake and gray trees are dramatic addition to the bedding set.It sets up a graceful and peaceful atmosphere for you bedroom. 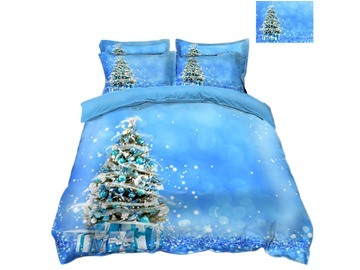 Additionally, the bedding set is made of 100% cotton and the texture is cozy.It is a essential part in your bedroom. feels very soft and the print is beautiful. 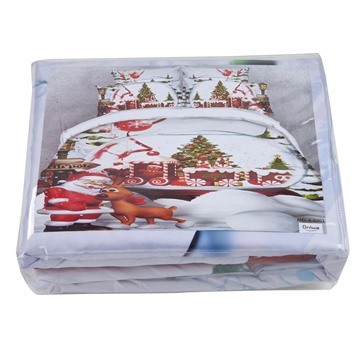 I purchased the quilt set for my little girl's bedroom. 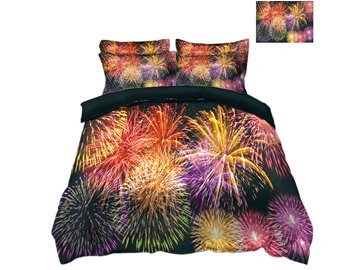 I already bought curtains and bed skirt and this matched perfectly!! The colors are true to the picture. The delivery was in a timely manner. I am well pleased with my purchase.